A typical railway scene consisting of lots of different time elements: a 70’s TGV PSE trainset, in a very recent livery, all under the monumental 1864 station hall. 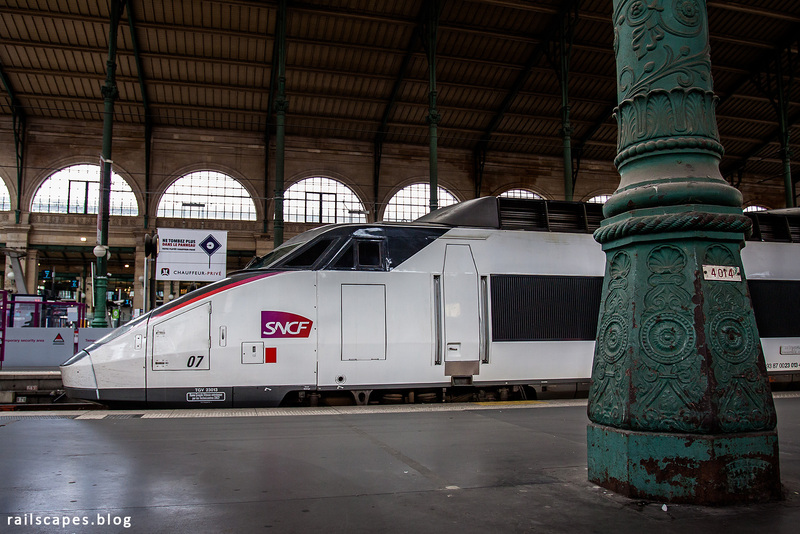 The TGV trainset is one of the oldest ones still running around – but for how long will it last? On the way back from Nice, while waiting for the final leg of the trip to Lille – in a modern double-deck TGV -, I got to wander around Paris’ north station. That has become a traditional activity whenever I’m waiting for a train back home in Paris. I still enjoy just watching the trains in this busy station.